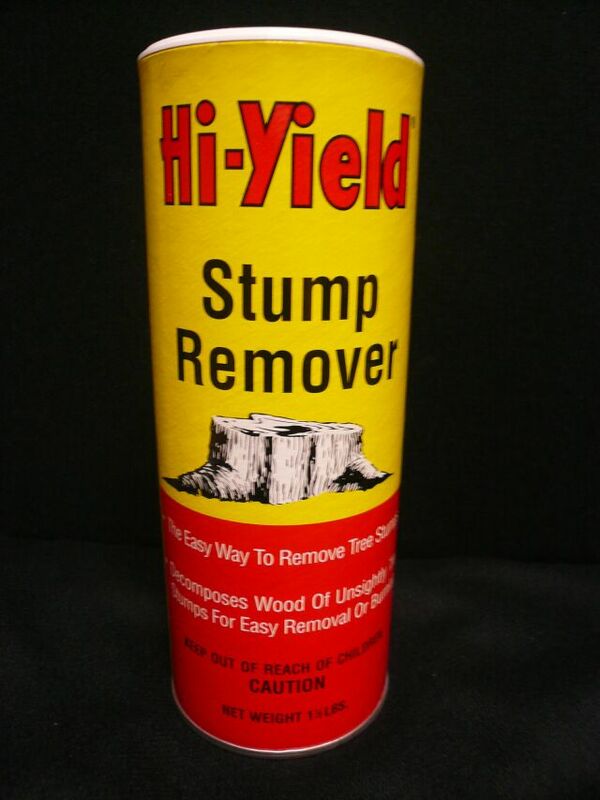 PRODUCT DESCRIPTION: An easy way to remove tree stumps. Works by decomposing the wood of tree stumps, leaving them porous right down to the root tips. 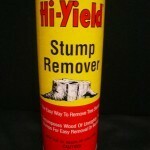 This allows easy removal or burning of the stump. Harmless to vegetation surrounding treated stumps. WHERE TO USE IT: Drill stump according to directions and apply to the stump. RATE OF APPLICATION: For every 6" of trunk width, drill 1 hole and add 2 oz of product. Over a 2-3 month period, the trunk will rot. Combine this with BRUSH KILLER if the trunk is producing new growth.